Born and raised in Los Angeles, CA, Brandin LaShea, has always been surrounded by all things fashion and food. Throughout her life she has been lucky enough to combine her multiple passions — she has modeled for some of LA’s top designers, has been featured in Marie Claire and NYLON magazines for her street style, and now has a strong presence on PRØHBTD. Coming from a multi-cultural family, she was exposed to and has experience cooking many different types of cuisines. She’s deeply tied to her African American, Native American, Italian and Irish roots, and her passion for culinary started when she was just six years old, cooking and baking with her mom and grandmother. After she got a taste of the cooking bug, she couldn’t stop – she took her first cooking class at age eight and it became very apparent that she had found her passion. After graduating high school, she decided to pursue cooking as a career, enrolling at Le Cordon Bleu. Brandin quickly excelled in all her courses and graduated school at the top of her class. Before graduating, she was offered a position as a line cook at Nobu West Hollywood. While at Nobu, she realized she wanted to continue her culinary pursuits in a more intimate environment. 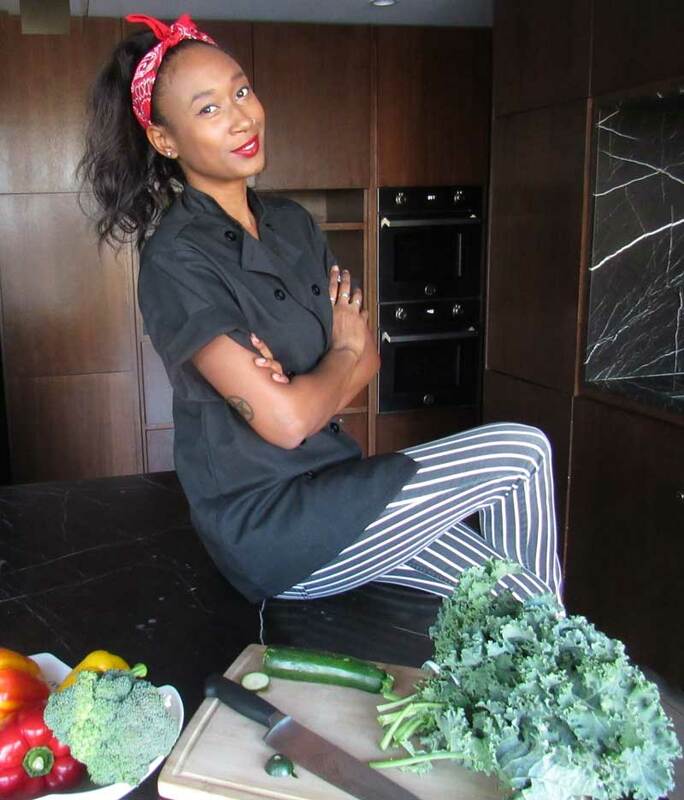 This inspired her to start Pretty Spicy Catering & Events, her own catering company. Brandin LaShea isn’t your average classically trained chef. She’s taken her Le Cordon Bleu background and mixed it with one of the hottest new culinary trends – cannabis. She is the new host of the hip digital show Pot Pie, on the leading cannabis network, PRØHBTD, which gives us an exciting look at her charismatic and dynamic personality and cooking skills. With her combined experience in culinary arts and entertainment, Brandin is on her way to becoming one of the next big culinary stars.